How are you looking to celebrate the jolly season? Perhaps with a succulent turkey or other roasted delights, but how about Christmas sweet treats? 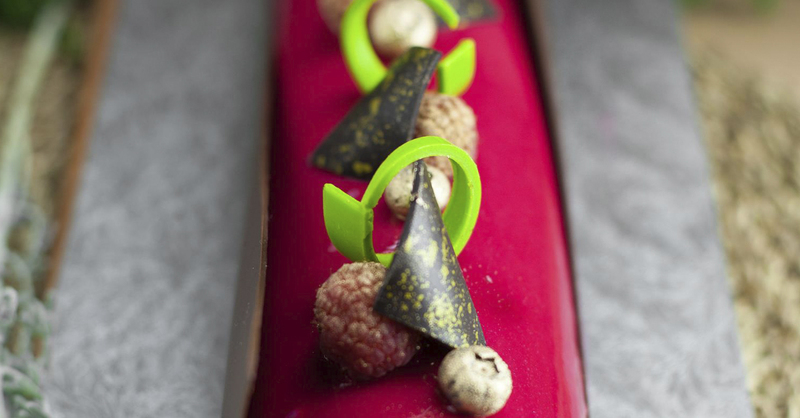 Originally made with chocolate and filled with raspberry jam, traditional Yule Logs (Bûche de Noël) are significant treats during Christmas and have since evolved along the years, holding a range of creative varieties that are bound to impress everyone at the table. Here, we show you our favourite picks for 2017. 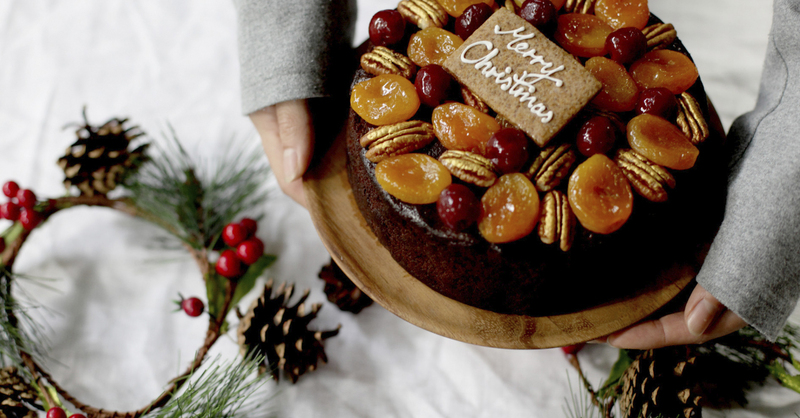 Yes, it’s Sunday Folks’ modern take on the traditional British festive cake this splendid season – where 55.5% dark chocolate couverture and Yuletide spices such as cinnamon, nutmeg, and cloves are used. That’s not all, taste a good dose of Cointreau together with a triple sec with orange notes that complements the overall cocoa flavour, not forgetting the sweet dark cherries, juicy apricots, U.S. pecans, and dark chocolate droplets! 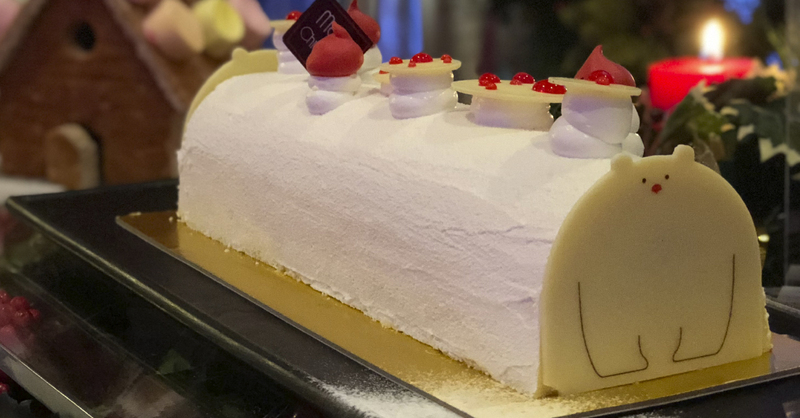 We loved the Oolong Raspberry Cake the last time we were at Caffe Pralet, and this Christmas season, a similar Oolong Raspberry Log Cake is delicately coated with a red velvety mirror glaze, gold dusted blueberries and gold painted dark chocolate. Bursting with 100% oolong tea and raspberry flavours, this fine piece of art is not to be missed! Enjoy an early bird promotion (for orders before 1 Dec) with 50% off your next with every log cake purchase. A fan of Udders’ Mao Shan Wang Durian Ice Cream? Then you will have to try a higher level of durian delight with their Mao Shan Wang Durian Log Cake! Creamy and rich, it is akin to having an authentic durian party during the merry season. Can’t stand the pungent smell though? Udders’ log cakes are also available in 3 other flavours (Milky Chocolate, Cookies and Cream and Rum Rum Raisin). 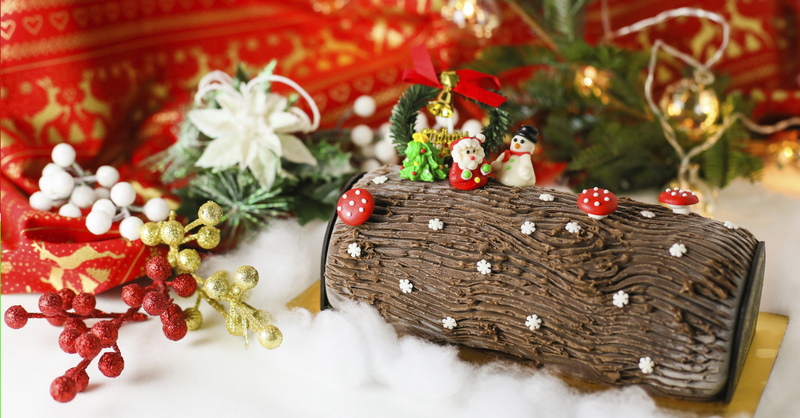 From now till 16 Dec, enjoy an early bird promotion with 15% off on log cakes. Note: Log cakes can only be collected after 1 Dec, and are packed in gold boxes. Address: Various locations across Singapore find your nearest here. So much of polar goodness from Grand Copthorne Waterfront! 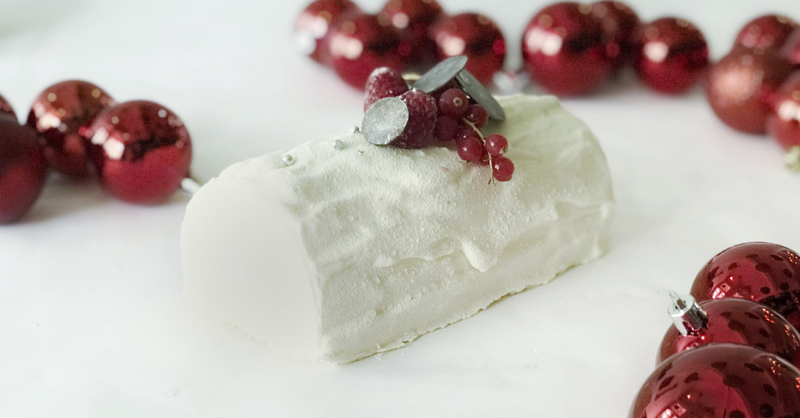 Look how that cute polar-looking thin slice of white chocolate won us over. Half-expecting rich waves of chocolatey flavours, what came out surprising was its blend of coconut and pineapple flavours. Well, we don’t know about you, but we felt this smoky charcoal-ish taste, which we must say is pretty interesting and refreshing? From now till 14 Dec, enjoy an early bird promotion with 20% off log cakes so don’t forget about the well-deserved discounts! Baker’s Brew fixes your chocolate cravings with this rich and refreshing Orange Chocolate Yule Log that mighty very well be the best artisanal chocolate log cake of 2017. 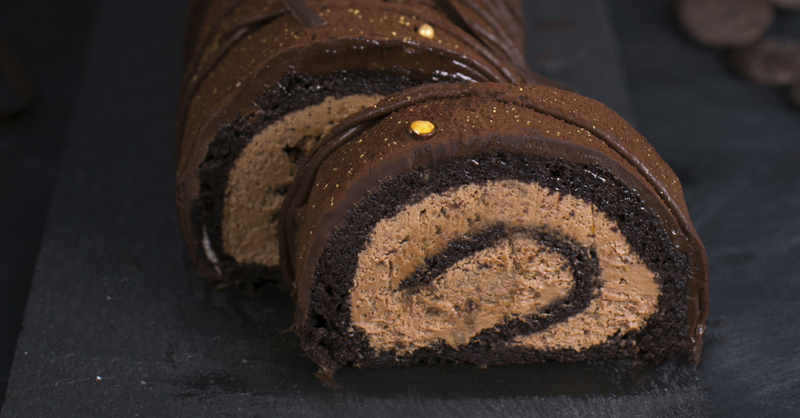 Made with a velvety chocolate sponge and luscious orange chocolate cream, each yule log is glazed with bittersweet dark chocolate ganache that is sure to activate your tastebuds. Now available for pre-order, don’t miss its early bird promotion (before 17 Dec). Head on down to their website here and receive 15% off when you key in the promo code [CEarlyBird] at checkout. Address: Various locations across Singapore, find your nearest here. 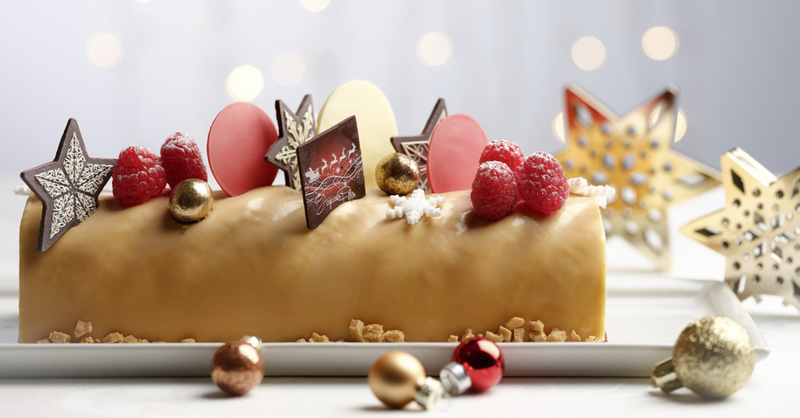 New on its menu, Marriott has surprised us with an exquisite Coffee Praline Dulcey Yule Log. The log cake doesn’t come with very heavy coffee flavours, but it has certainly heightened up its overall taste, presenting a rich yet well-balanced mouthfeel. Also, not to forget the crispy praline that adds on a crunch to the dish! Almost like a snow-covered log, Mad About Sucre has done up an all-white cake consisting of popular and favourite flavours, Japanese Yuzu and White Chocolate. Expect to savour and indulge in the citrusy and zesty yuzu flavours that makes an awesome pair with the white chocolate coat!